The Specialist Company for Portable Telescopic Pole inspection cameras and a huge range of Access camera products. All of our Camera systems for inspection are supplied with full warranty and free shipping to mainland UK addresses. Many of which are supplied next day if ordered before 1 pm. 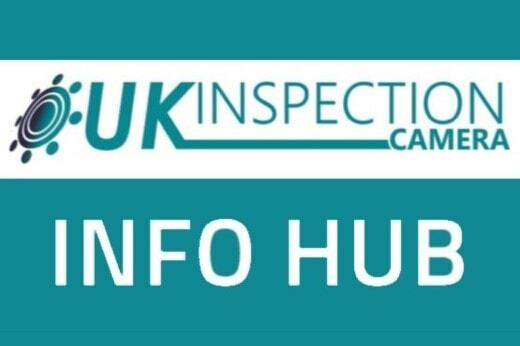 Our small, dedicated team are on hand to answer any questions you have relating to routine type inspections, or of course you may have a problem where a unique system could be produced for you in house, which is more cost effective than you think. All inspections systems have been designed in house and produced to the highest of standards. Many of our inspection products have specific uses, but with a little consideration they have many applications other than what they were designed for. A Flexible hand held inspection camera is perfect for looking inside engines of cars, or the various tight and hard to reach locations in a boat engine bay, you could even use them for cavity wall inspections to check for compliance of insulation or damage from rodents. Drain pipe inspection cameras are used for, in the main, checking and inspection drains, with a cable length of 20 metres they are perfect for many jobs that need to deploy camera fairly quickly to identify issues. Also used widely for chimney inspections and ventilation ducting surveys too. In the selection of our product range there are some uniquely manufactured systems exclusive to us, we provide a solution for CCTV system specifiers and installers, allowing the end user to be able to see the image they are likely to view form the installed system, giving confidence in the location of each camera and allowing for potential obstacles in line of sight. You may find our Digital Video Inspection cameras that are attached to telescopic poles ranging between 2 and 12 metres, are the ideal survey solution for your needs. 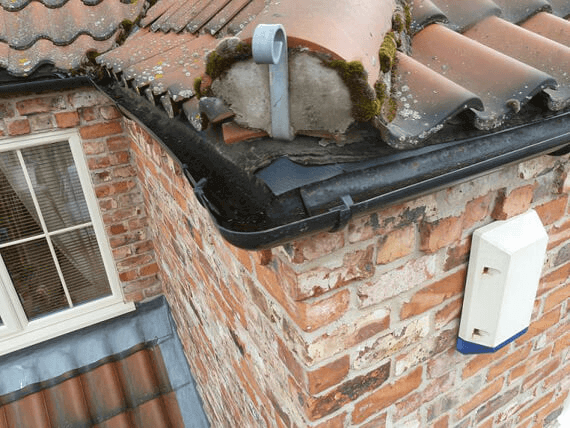 These systems are used in a variety of inspection applications such as roof, gutter, nest boxes, pylons, bridges and much more they are also known as survey cameras. 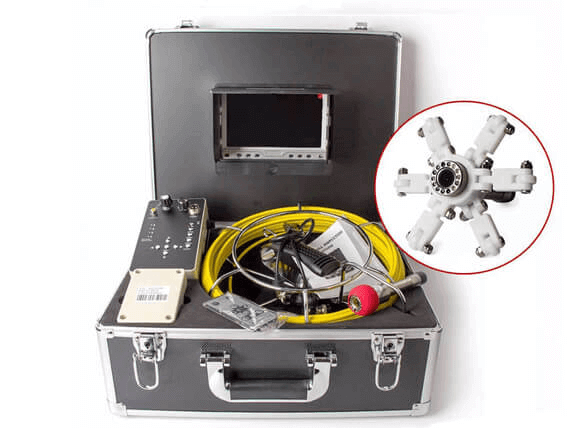 Our exclusive and premium range of Telescopic underwater Inspection cameras are unique and can be made bespoke. We have the ability, knowledge and experience to manufacturer to your requirements with impressively low costs. We specialise in the manufacture and supply of a variety of Professional Pole Inspection Cameras to make your job - or curiosity - more instant and a great deal easier. Our Products are shipped to countries Worldwide. With over 25 years in the Electronics and CCTV Industry working with the Military and National Companies in the UK and Europe we have available the very best in inspection systems or Access Cameras. We can offer a design service to suit your own personal requirements. We have in-house expertise in design, engineering and production for a range of inspection camera applications. Inspection or Access cameras allow you to investigate or visualise areas of interest that are normally impossible to see or have tight access, they are an ideal tool for inspecting wall cavities and checking for blockages in pipe work. Some of them are secured to the end of a flexible “goose neck” which allows you to locate the camera just where you want it with some control and precision, on the end is the specially produced digital camera giving the operator a “real-time” video of the survey and inspection. Inspection cameras and Endoscopes / Borescopes are a must have tool to enable fast efficient investigation of difficult to reach areas in wall cavities, ducts, pipework, chimneys, engine rooms, plant machinery and much more. 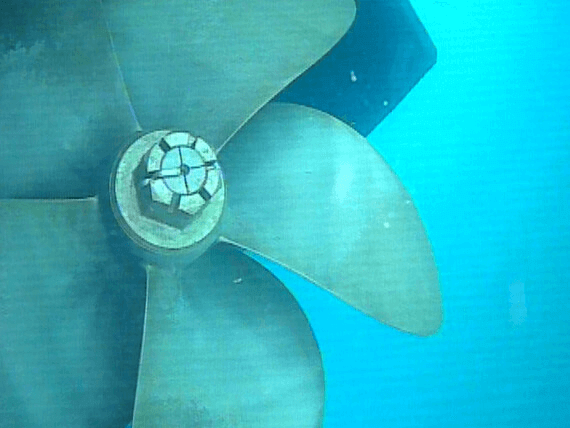 Our range of cameras for inspection are all provide real time video of the subject area along with the ability to record or take snapshots for further inspection or analysis. The camera head also provides LED lights to illuminate the area required. Inspection cameras are becoming increasingly more popular in many areas of industry. Not only can a pole inspection camera make the inspection task very quick, the camera can produce images from a safe distance - particularly useful if the requirement is at height. It offers the opportunity of a quick or detailed inspection from the safety of the ground and without the requirement to employ costly lifting equipment to give you access. 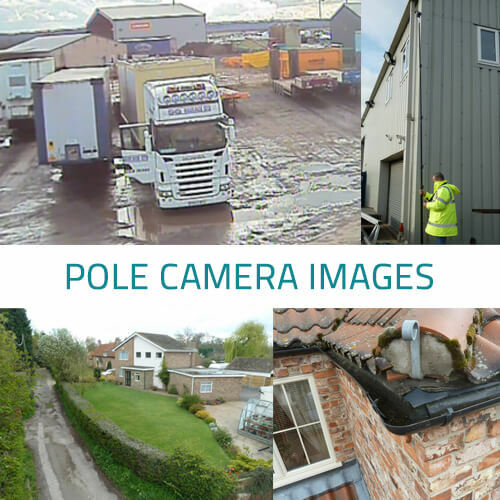 Our Pole Inspection Camera also has the option of recording the high resolution images to use as evidence or to include as part of a report. Once the video is recorded, small video clips or photos can be captured. For many tasks our Pole inspection camera will save time, money and give you the ability to provide documentary reporting if required - all from the safety of the ground. The camera is available with infra red LED illumination, White Light illumination and can be fully submersible if required. We have a number of inspection camera packages available that can achieve most needs. Our standard Pole Inspection Camera is a wired solution. However, should a wireless camera be required (perhaps for beyond 7 metre extension) we can offer this. The weight of the cable and pole combined for a 10 metre pole is perhaps too much for regular one person use.